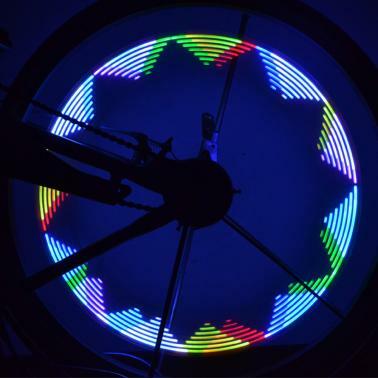 Consists of 14pcs colorful LEDs. 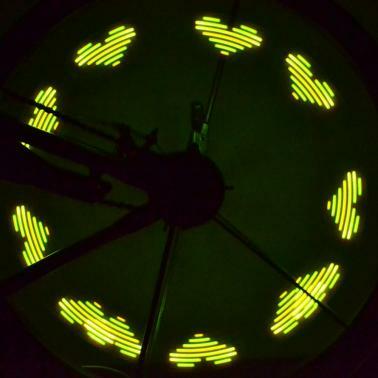 Light with 30 different gorgeous patterns shining by turns and changing every 4 seconds. Pattern is clear and complete when speed is up to 20km/h. 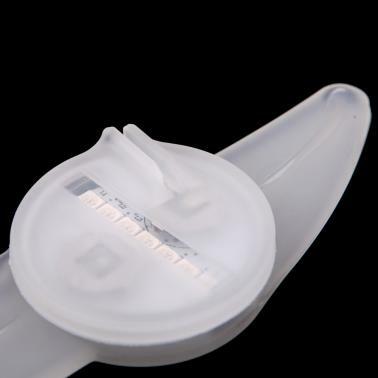 Equipped with light sensor and movement sensor, flash only in the dark and action. Powered by 2 CR1632 battery. Water resistant design, can be used in rain. Easy installation and quick release. 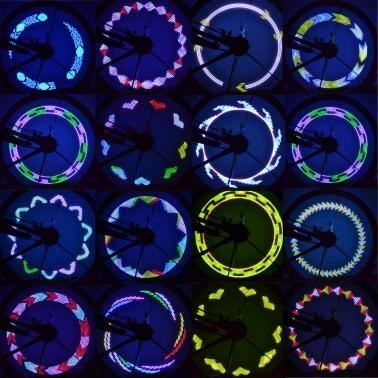 The bike wheel spoke light can be used in rain but can not be soaked in the water for long time.